With graduates working at top ballet companies such as the Stuttgart Ballet and Royal Danish Ballet, Next Generation Ballet (NGB) has proven a commitment to artistic and professional training for young dancers. Under the artistic direction of Peter Stark, who studied dance at the School of American Ballet, NGB provides a full performance season as well as classes for dancers starting at the age of three through high school. Students from across the U.S. flock to the NGB’s summer intensive for its high class and award winning training. NGB is a stepping stone for great dance talent. • Professional – Dancers train and perform in a highly professional setting at the David A. Straz Jr. Center for the Performing Arts with a staff of former professional dancers. • Motivated – Dancers are encouraged and pushed to reach their goals as artists and technicians with a base in classical ballet supported by alternative dance styles. • Supportive – Dancers are nurtured as individuals and assisted to reach goals that are realistic and attainable, yet ambitious. 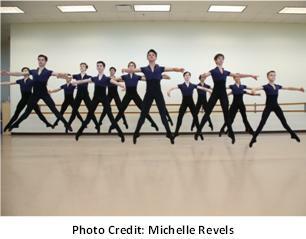 What is the impact of Next Generation Ballet on the Tampa, FL dance community? NGB is Tampa’s ballet company presenting a full season of professional level ballet productions with emerging dancers including The Nutcracker, a full length classical ballet, and a contemporary program. Dancers relocate from around the nation to participate in these educational and performing opportunities. What are the key factors within the teaching curriculum of Next Generation Ballet that are shaping students to become professional dancers across the world? The course of study and syllabus are structured for ages three to eighteen with great specificity. The advanced students in their final two to three years of training are exposed to stylistic diversity merging the best of classical Cuban ballet, Royal Academy of Dance, Vaganova, and Balanchine perspectives. Students are encouraged to audition throughout the year and some even do international level ballet competitions. Select students are prepared for these competitions such as Youth America Grand Prix and Prix de Lausanne through daily coaching. Graduates are dancing with Hamburg Ballet, Sarasota Ballet, and Boston Ballet and training at Royal Ballet School, The School of American Ballet, and Hamburg Ballet School on scholarship among others. Students have received scholarships and job opportunities through competitions and by traditional auditions both in person and through video that are prepared by the NGB faculty.